At the age of 73, ACS artist Charlotte Johnson Wahl is celebrating her first major retrospective at the Mall Galleries. Entitled 'Minding Too Much', the exhibition charts five distinct periods and approaches evident in the work of Johnson Wahl. 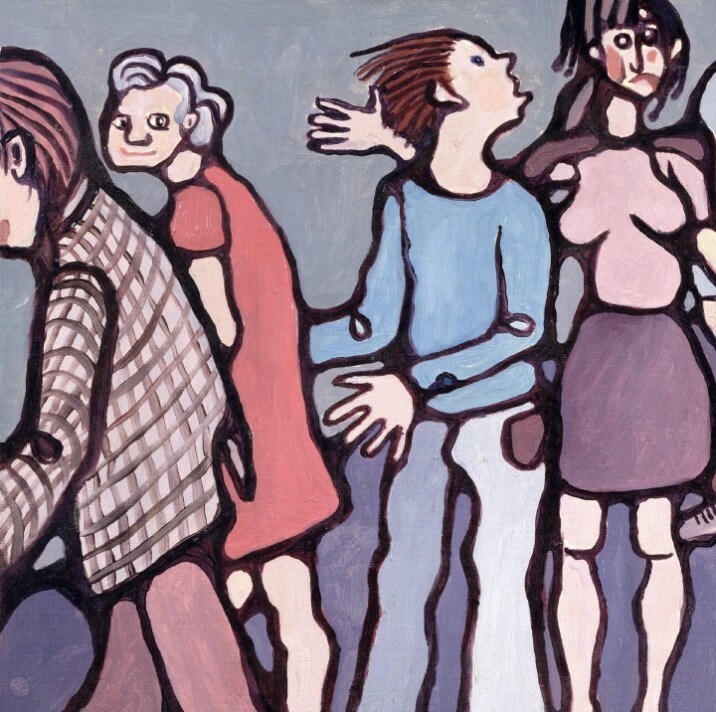 Ranging from personal, familial scenes to wider snapshots of society, the exhibition successfully showcases the powerful yet humorous output of the artist in what has been described as a "tough but ultimately redemptive journey".